We've all heard of — possibly even experienced — the health and healing benefits of acupressure, the treatments wherein pressure points in the body (the ones used in acupuncture) are pressed and prodded with fingers to stimulate the body's natural healing processes. Some folks swear by it. We've also all heard of the healing benefits of aromatherapy using essential oils, especially considering the recent popularity (and sales) of the bitsy bottles of extracts and chemical compounds in endless variety for use in equally endless ways. Combine the two, acupressure and aromatherapy, and you have a dynamic duo that just might trump the health and healing benefits of either alone. 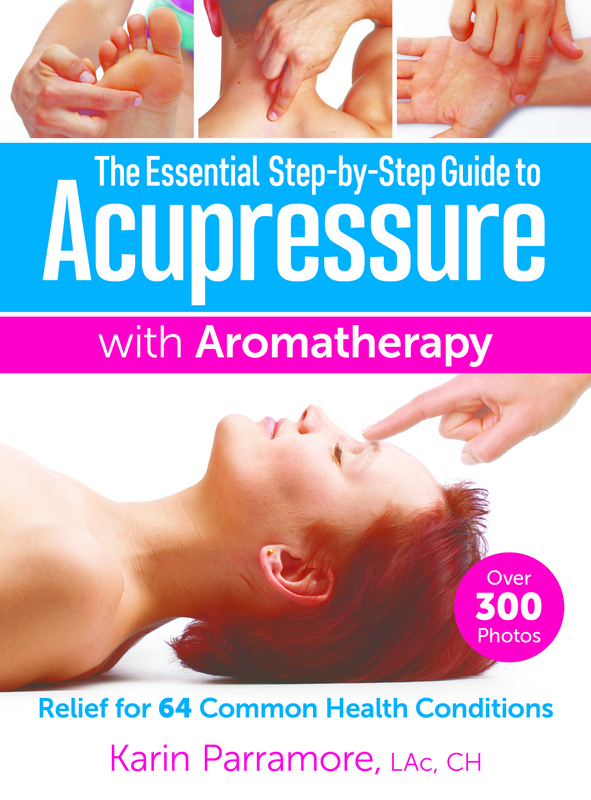 In her new book, The Essential Step-by-Step Guide to Acupressure with Aromatherapy, — which I recently received free for review — Karin Parramore, LAc, CH provides detailed direction on how to use pressure points with oils to get maximum relief from and healing for 64 common health conditions, everything from acne to vertigo, arthritis to sciatica, plus rosacea, constipation, depression, sore throat, chronic fatigue and so. much. more. And Parramore provides everything you need to know about acupressure, aromatherapy, and the mixing of the two in a conversational style with colorful photos. 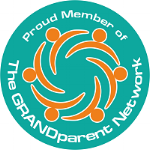 The aromatherapy part comes in by using specific essential oils on each of those acupoints. Parramore provides the recommended oils for each ailment. Those for insomnia: orange and spikenard. Few of us likely know all the essential oils available, much less the properties of each and the conditions for which they're ideal. Thankfully Parramore provides all the info on such in a 30-page section (with tan pages to make it simple to find the section among the white pages of the rest of the book). For each oil, from Angelica to Ylang ylang, she provides the dilution, warnings to heed, actions of the oil (e.g. anti-inflammatory), the primarily compounds, and the nature of the oil according to Chinese medicine (is it warm? descending? etc... and she explains all that beforehand). I tried a few of the suggestions in the book, primarily those related to congestion and headaches as I had a horrendous cold at the time I reviewed this book. I'm unsure if it was the power of suggestion or if pressing the proper points really made a difference (I did it without oil), but I swear I felt relief on both counts for a bit immediately following pressing the spots recommended. Considering Karin Parramore's bio, I felt confident in the information she shares in her book. She's been a practicing aromatherapist since 2002 and obtained her degree in Chinese Medicine a few years later. She has her own clinic as well as teaching gigs at the National University of Natural Medicine and East West College of the Healing Arts. What I loved most about Parramore's book is that I could browse and learn about oils and pressure points and ailments all independent of each other. You don't have to start on page one and work your way through to page 272 before feeling more knowledgeable in any of the three categories — or confident about putting any of the suggestions regarding oils and acupressure into use. The Essential Step-by-Step Guide to Acupressure with Aromatherapy by Karin Parramore, LAc, CH has a suggested price of $24.95 and is available where books are sold. Find out more on the publisher's website, www.RobertRose.ca. Disclosure: I received this book free for review; opinions are my own.